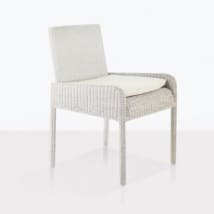 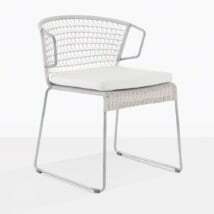 Summer days are meant for dining outdoors and the Sahara outdoor dining chair in a white wicker weave is the perfect solution. 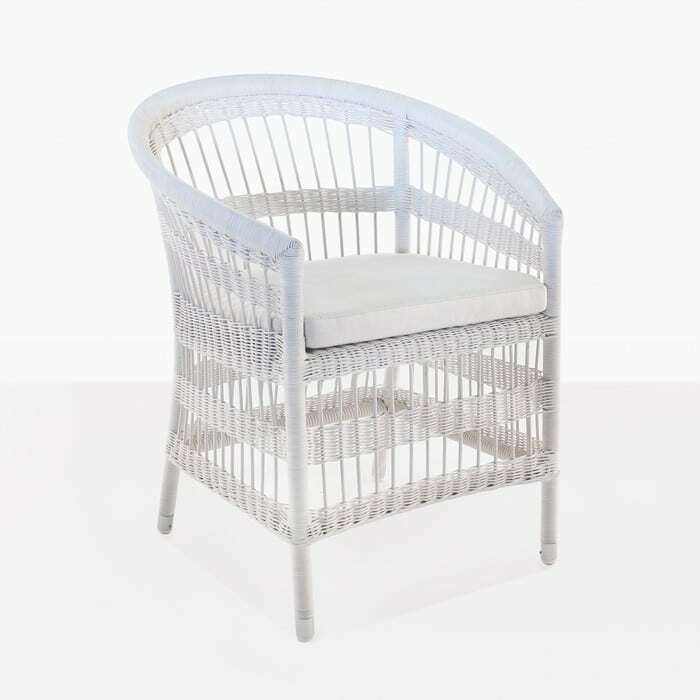 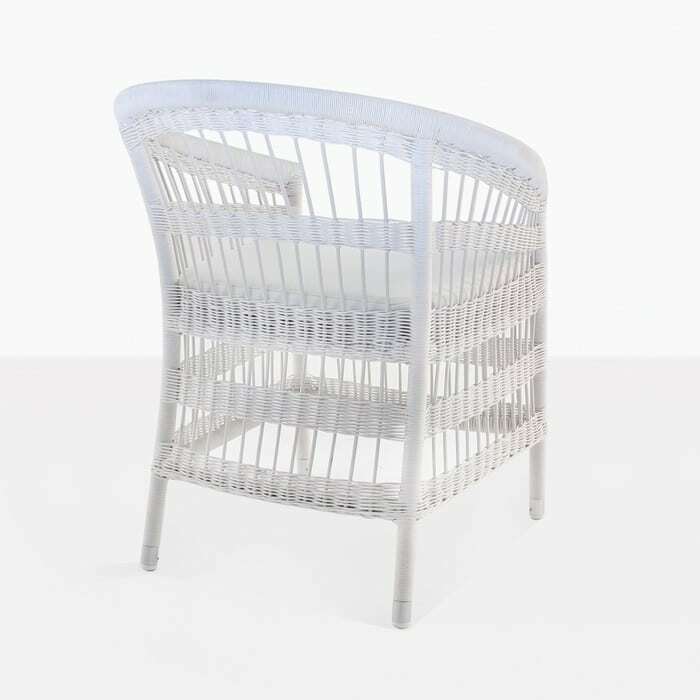 It has everything we love about vintage outdoor wicker chairs including a modern rounded frame and the added bonus of durable and lightweight materials. 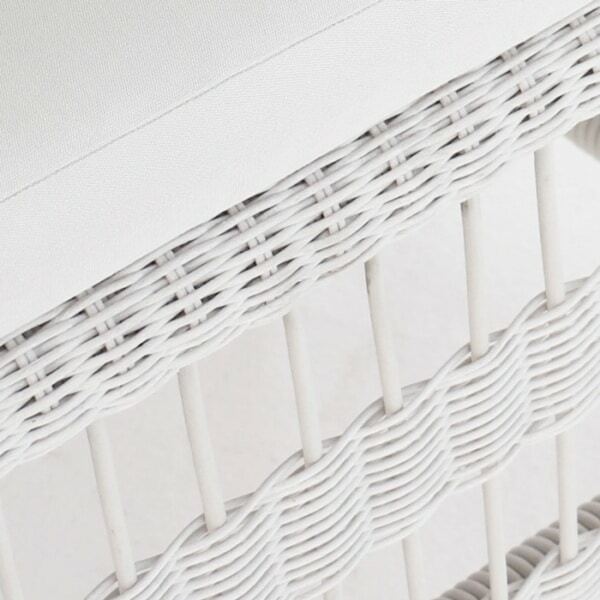 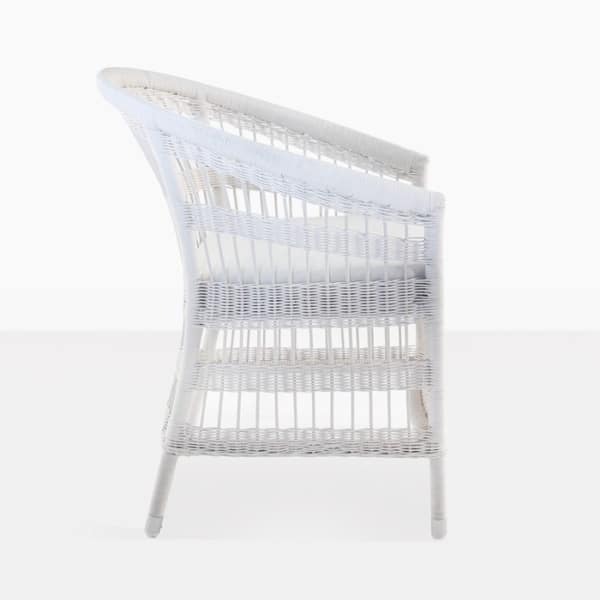 The wicker weave is light and airy and the white is inviting and adds the perfect amount of summer charm. 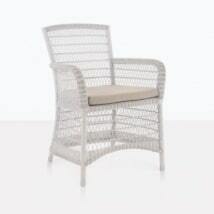 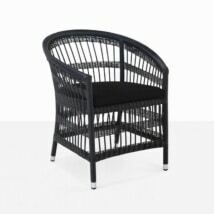 This chair will go beautifully with many of Teak Warehouse’s outdoor dining tables depending on your style. You can chair to pair it with a reclaimed teak table, a-grade teak or even a raw concrete dining table. There are so many choices. 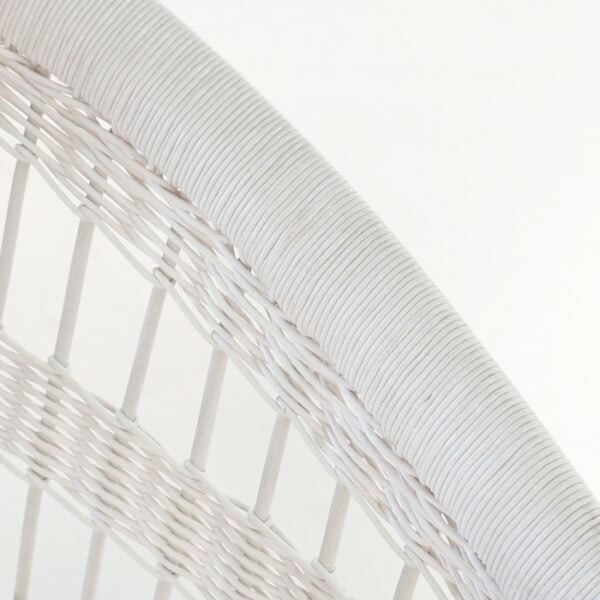 W26.7" x D25.5" x H32"